When Vancouver made the shortlist for the 2026 FIFA World Cup, B.C. youth soccer players started to believe their dream of playing on the world stage might just be possible. “It’s been my dream to play in the World Cup ever since I was a small kid,” said Thomas Hasal. 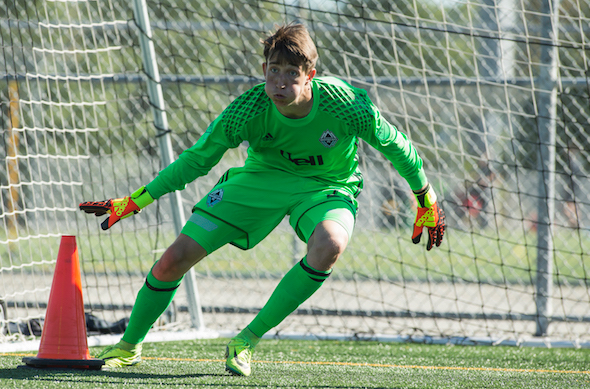 The 18-year-old goalkeeper moved to the city from Saskatchewan to play in the Vancouver Whitecaps youth system. Hasal has already represented Canada at the youth level and left home to join the Whitecaps nearly two years ago. He recalled the excitement of sharing the news of Vancouver making the shortlist with his family. 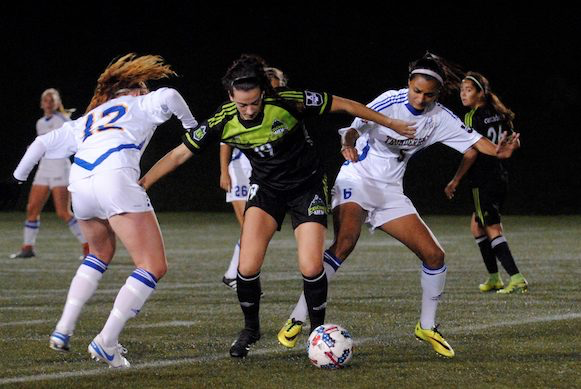 UBC’s soccer team, the Thunderbirds, battle for the ball in their 3-0 victory against Fraser Valley last Friday. Vancouver was shortlisted on Oct. 4 as one of four Canadian cities in a joint bid with the U.S. and Mexico. That has fired up not just young soccer players like Hasal, but also tourism boosters and local politicians. The city was selected based on its reputation as a destination city with a history of hosting international sporting events. Furthermore, Vancouver’s BC Place, with its 54,500-person capacity, meets FIFA’s infrastructure requirements. The announcement coincided with the Whitecaps securing its place in the Major League Soccer playoffs. The success of Vancouver’s franchise, which joined the MLS in 2011, has been credited with increasing the profile and popularity of soccer on the West Coast. Jefferson Alade, another young Whitecap, also wants to pull on the jersey at a home World Cup. Given that Team Canada, which has not played in the World Cup since 1986, would qualify automatically as one of the three host nations, Alade might just get the chance. According to Vancouver Mayor Gregor Robertson, the city is a strong candidate to host the tournament. He has pointed to Vancouver’s history of attracting high-profile international sporting events like the 2010 Winter Olympics, the HSBC Rugby World Sevens Series, and the 2015 FIFA Women’s World Cup. It’s not just the players who are excited by the prospect of the World Cup coming to Vancouver. Coaching staff also anticipate potential changes in youth soccer. “We have a strong grassroots level, but I think sometimes [players] don’t really know what the true elite level is. 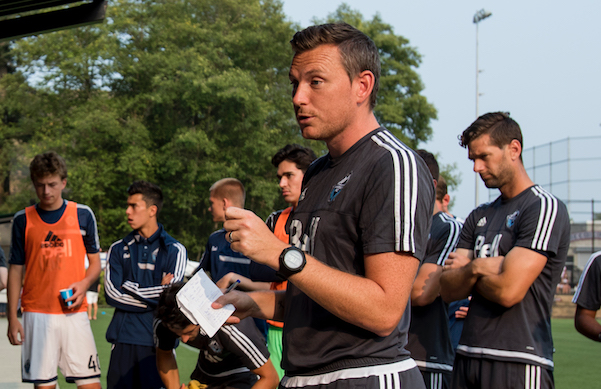 For aspiring players to experience that first-hand would give them that extra enthusiasm, motivation and aspiration,” said Adam Day, head coach of the Whitecaps under-17 division. While soccer is immensely popular in Vancouver, there are very few opportunities to play professionally. Rob Giezen, a youth coach at the West Vancouver Soccer Club, said it is a struggle for kids in the city to make it to the top level of the game, as the Whitecaps remain the only professional outlet in the area. Teams like the University of B.C. Thunderbirds are the highest level many players can get to at the amateur level. Financial gains from the World Cup could help make that a possibility. According to Val Litwin, CEO of the B.C. Chamber of Commerce, if Vancouver was selected to host the World Cup, not only would this result in a boost in tourism revenue for the province but it could also lead to more funding for the local soccer community. Litwin anticipates hosting the World Cup would have a similar effect for soccer. He says this would likely prompt conversations around how to grow soccer in Vancouver as well as generate funding opportunities for increasing interest in the sport. While the World Cup is still nine years away, Hasal and other young players are already preparing for the possibility of hosting the tournament and working harder than ever to make their dreams a reality. 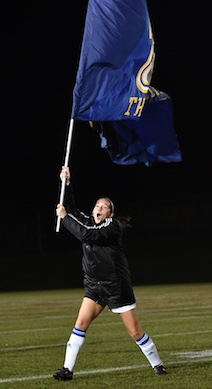 UBC Thunderbirds celebrate their victory at a recent game.